Fun With Canvas: Create a jQuery Graph Plugin for your web. 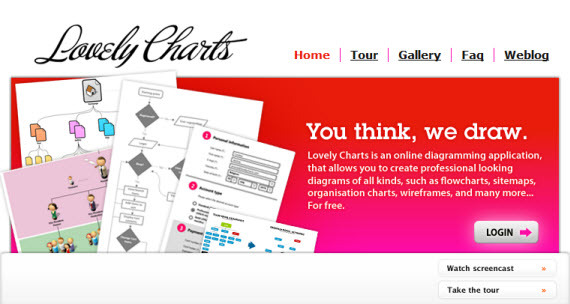 Visualize is a jQuery plugin which converts tables to charts & graphs using the HTML 5 canvas tag. The usage of tables is very important the data is already formatted in a way that is accessible to users browsing the web with a screen reader or other assistive technology. The plugin offers a very easy usage as calling a function like: $('table').visualize(); is enough for creating a line, pie, bar or an area chart from a table. As much as I hate filling a form I love seing a chart. I don’t know why. It can show a lot of things. We use charts to see our progress, to see our income, loses, gains, this versus that, he versus me, us and them etc. It’s like when we were little kids and asked our dad who’s stronger…the lion or the tiger. We feel like there’s the answer…in that chart right in front of us. 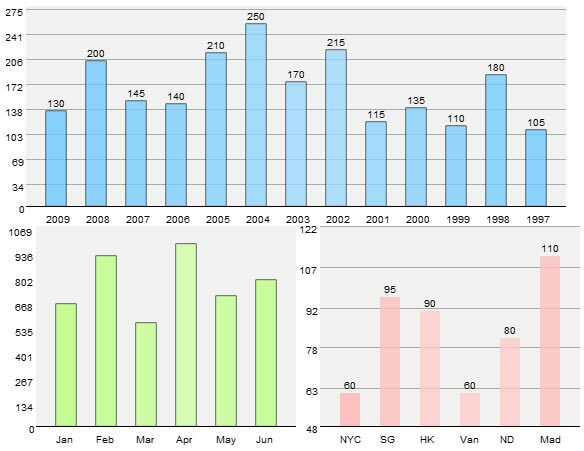 Facts besides words, numbers over presumptions…visual results. If you know how to play with parameters, it’s your map of the future. There’s the road…look at last year how wrong you did :). It’s funny I know…imagination is the limit. We searched and researched and found some nice examples with various charts. In PHP, CSS, AJAX or Flash here’s our list. Have fun! “Having a working knowledge of XHTML and CSS when developing applications is a big help in knowing what can be done client-side and what should be generated server-side.” – Vertical, horizontal, simple or complex CSS bar graphs.